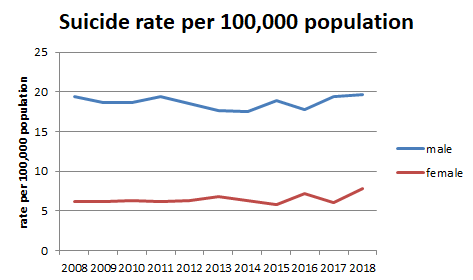 The coroner has just released suicide statistics for the period June 2017 to June 2018. A stand out is the increase in females who have suicided, up by 44 on the previous year. And I can't help but notice this coincides with the sharp rise in female prison inmates. Why are (some) women getting more desperate? Is that even the right question? Half of Maori prisoners are Ngapuhi? 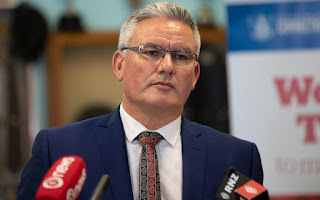 Mr Davis said Māori make up over 50 percent of the prison population, and he wants that number reduced. "Of that 50 percent, half again, are from Ngāpuhi, my own tribe, so this is personal. At June 2015 only half of Maori inmates expressed an affiliation. Of these 24% are Ngapuhi. 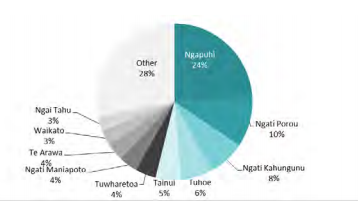 At the 1999 prison census Ngapuhi made up 17% of sentenced prisoners and 20% of rendered prisoners. So the percentage is rising.But not fast enough to be at half in 2018. There may be many more prisoners who express an affiliation with Ngapuhi but not as their primary. Also many who have an affiliation but clearly aren't expressing it. But what does Mr Davis know that the rest of us don't?